The information on this site is available for history purposes, but is no longer maintained. 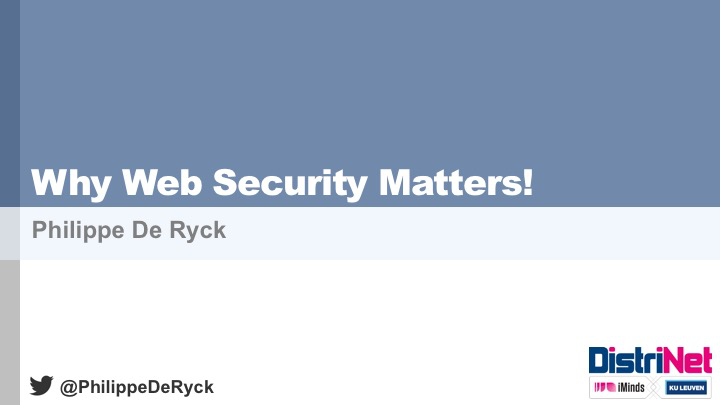 Start blog Why Web Security Matters! The slides from my presentation at the information day on online security for the municipalities of Flemish Brabant.